The Filioque, which means “and the Son”, was introduced into the Nicene Creed by the Catholic Church in the 11th century. The original Creed read that the Holy Spirit proceeded from the Father. The Roman Catholic Church changed it to read that the Holy Spirit proceeds from the Father and the Son. The following essay is an attempt to show why the Filioque is a Trinitarian heresy. All Characteristics given to the Holy Trinity must reflect its essential nature of being one God in three persons. In order to do this all characteristics must either be shared by the three in order to show one God, or be specific to one of the persons in order to show distinction between the three. 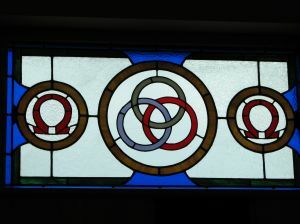 If a characteristic were given to two persons of the Trinity it would not show one God because it would not express the unity between the three persons. It also would not express a distinction between the persons because two persons would share a characteristic that the third did not. The two would be distinct from the one but not from each other. Qualities such as one will, mind, action, and essence, express one God since all three persons share them. Characteristics such as Father, Son, Holy Spirit, begotten, and proceeding, show distinctiveness of persons since they are specific to only one of the persons. The original Nicene Creed had the Father alone begetting a Son and bringing forth the Holy Spirit. As a result only the Son is begotten and only the Holy Spirit proceeds. Each of these characteristics reflects distinctiveness of persons. When the Catholic Church changed the Creed to the Father and the Son bringing forth the Holy Spirit, they gave the characteristic of bringing forth the Spirit to two persons of the Trinity. This does not express one God as only two persons share the characteristic. It also does not show distinctiveness of persons as more than one person shares it. The Father and the Son are distinguished from the Holy Spirit, as they have a characteristic that the Spirit does not, but they are not distinguished from each other, as they share the characteristic of bringing forth the Spirit. It was the first and only time such a thing was done. The Filioque does not express the one God aspect of the Trinity nor does it distinguish between the three persons. Therefore it does not belong as a characteristic of the Trinity and is rightly labeled as a heresy.